Russia & China Providing Substantial (And Long-Term) Financing For Vehicle Purchases — U.S. - Cuba Trade and Economic Council, Inc.
January 23, 2018 / U.S.-Cuba Trade and Economic Council, Inc.
HAVANA, January 20. /TASS/. 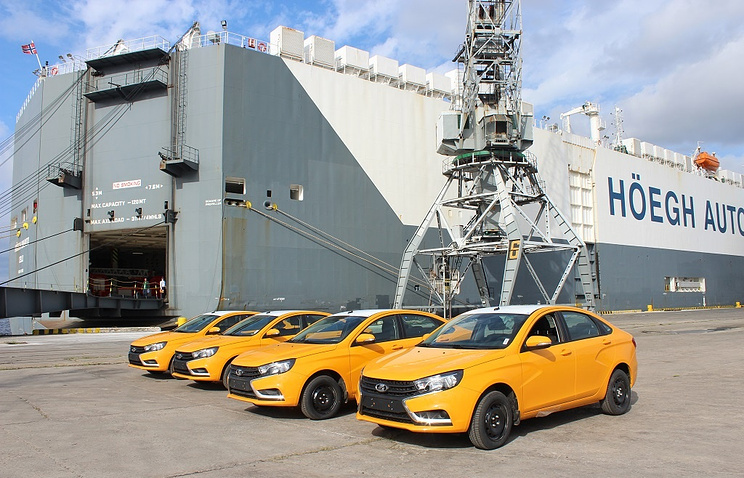 Russian carmaker Avtovaz delivered 344 Lada cars to Cuba, completing the first shipment of Russian cars to the island nation in more than a decade. A cargo vessel, carrying 320 Lada Vesta and 24 Lada Largus Cross cars, docked at the port of Havana on Friday. All cars will be handed over to the state-run taxi company Taxis Cuba and are painted in bright orange. "We have carried out an eight-month test run of several Lada cars. They made a good impression, so we were looking forward to this delivery," Taxis Cuba director general Gorge Luis Dias Hernandez has told TASS. Avtovaz President Nicolas Maure said earlier that the automaker would train Cuban specialists to provide after-sale services. Cuba is a priority market for car exports, Maure said, and Avtovaz hopes to export Ladas in the coming years "with an increase in amounts." According to the company, the delivery of cars to Cuba is carried out with the assistance of Vnesheconombank, which provided financing, as well as the Russian Export Center. The previous batch of Avtovaz cars arrived in Cuba 12 years ago. As Cuba's leading trade partner, China has become a key driver of tourism development in the Caribbean island nation. With investments exceeding 700 million U.S. dollars and an increasing presence of Chinese goods and know-how, China is helping Cuba promote its tourism industry. "Every day we want to use more Chinese products and technologies in the tourism sector," Jose Daniel Alonso, director of development and investment at Cuba's tourism ministry, told Xinhua in a recent interview. The tourism sector's potential for growth and capability to generate much-needed foreign revenue makes it a development priority. Local authorities are seeking reliable investors to enhance resorts' infrastructure as well as expand hotel capacity and recreational options. At local car rental agencies catering to foreign visitors, Chinese car brands of GAC Motor, Geely, BYD, BAIC and Maxus represent 65 percent of the fleet. Almost the entire fleet of buses of all dimensions are supplied by Chinese companies, mainly Yutong and King Long. "In addition to the buses and rental vehicles, we have bought air conditioners for rooms in many hotels. We are also assessing other goods for the Cuban hotel industry," Alonso said.